IVMS is a system whereby from a central place of management, vehicle usage and components can be monitored for compliance purposes. Depending on the required implementation, the specifications may change. …all of which are available as customised solutions based on clients’ needs. The C-track IVMS unit is a fully-featured scalable, remotely upgradeable system which is a tried-and-tested electronic platform, utilising the Global Positioning System (GPS) to provide vehicle speed and position to within 10 metres average accuracy. Coupled with existing GSM/ NextGTM networks, the unit continuously gathers and transmits real time information to DigiCore’s Melbourne computer base server via a SIM card, satellite or wi-fi. Once data has been collected, it is available for online access and batch processing. Immediate notification of events is available through SMS and e-mail and DigiCore Australia’s in-house software developers work with end-users to constantly improve the quality and relevance of data delivered to the client’s staff and management. The DigiCore product has an in-built triaxial accelerometer that detects a sudden reduction in speed. (There is also an option to fit an external impact/ tilt sensor). In the event of an impact, accident data is copied into a buffer from where a further analysis can be done. The IVMS system generates Driver Alerts as well as providing a number of Violation Notifications. Driver Alerts are pre-warnings that the vehicle’s IVMS Solo unit issues to the driver in the form of an audible signal. The intent is to alert the driver that some corrective action is required by the driver, such as reducing speed or engaging the handbrake (when the vehicle is parked up). No system record is created at this stage. Violation Notifications are sent by the IVMS solo unit when the limits of potentially hazardous vehicle conditions are exceeded. These violation events are sent from the vehicle’s solo unit via either a GSM/ NextGTM or 3G mobile phone network. 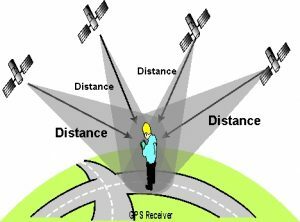 Where a vehicle is not within reach of the mobile phone network at the time the violation occurs, the condition is stored by the unit’s internal memory and the notification is sent once the vehicle comes within reach of a network. Violation events are summarised in various ways in weekly reports issued to authorised clients users at various management levels. The IVMS system provider operates a secure web portal which is accessible to authorised users with username and password identification. Reports can be generated for selected drivers (either single or a group), vehicles (either single or a group) and for variable timeframes. Reports can either be presented in the form of lists or graphically, using a map to indicate the location of violation events. Assets may request reports relating to specific vehicle activity. These requests range from intensive forensic examination of vehicle activity prior to, during and after a crash event. Other requests have ranged from determining if a certain vehicle may have been in a specific location at a certain time. These special requests are made via the Digicore-Australia Helpdesk and are allocated a specific reference number; with each request, an automated response is sent to the requester. The Tachometer data buffer is configured to store engine revolutions and GPS speed data at 10 second intervals. 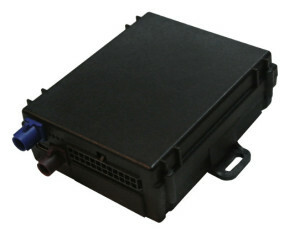 This data buffer can store up to a number of days’ data, depending on vehicle usage and consequent data volume. Tacho data is recorded and sent to servers in Melbourne on an ongoing basis, provided GSM/ NextGTM coverage is available. Data can be lost in the circumstance where a vehicle remains outside GSM/ NextGTM coverage for too long. Where the risk potential associated with this data loss is unacceptable then fitment of a D+ or Iridium satellite-based unit is available as an option. Reports are available either as Reports on Demand through a secure web portal, as Standardised Reports, prepared by the IVMS provider and issued via e-mail to the client’s system users at various management levels or as Special Request Reports. Vehicle data is downloaded on a regular basis via the GSM/ NextGTM network and is subsequently transferred to a Melbourne server where it is stored, filtered and analysed. Reports, based on this data are generated by the IVMS provider on a weekly basis in a standardised format common for all client’s assets (i.e. per mine site, port or comparable organisational unit). DigiCore Australia employs a number of highly skilled computer programmers, a solutions architect and technicians to support the client’s IVMS program. Field support is provided by our own technicians and specifically selected contractors. Telephone by calling (03) 9945-2240. This number will be answered between 09:00 am and 6:00 pm Melbourne time. After hours support is available upon request however may attract an additional charge. Email by writing to ctrackhelp(at)digicore-australia.com.au. The author will receive a ticket number and an online receipt that can be used to track progress with the lodged ticket.